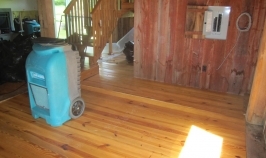 Standing Water Damage by Appalachian Contractors Pittsfield, Mass | Appalachian Contractors, Inc. 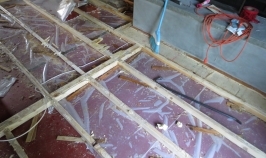 When pipes burst, roofs leak, or a water damage occurs in any number of other ways, the initial damage can be devastating. 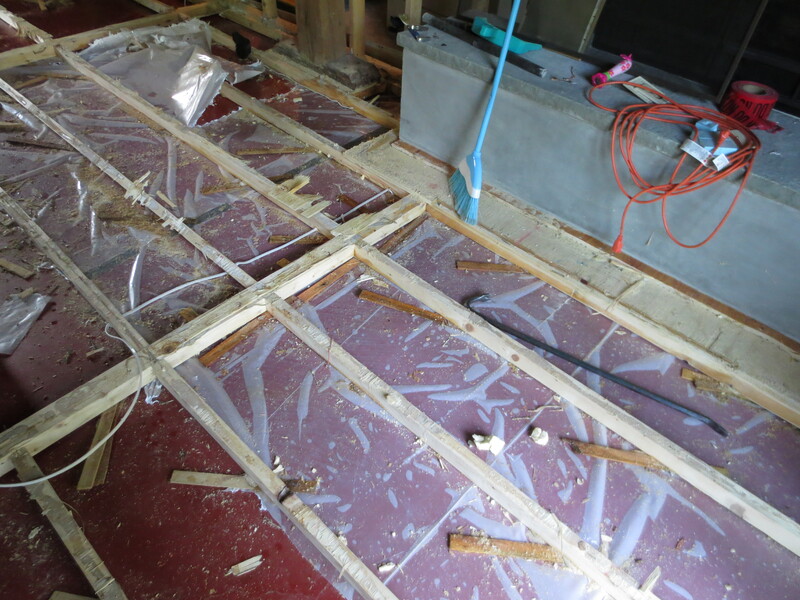 However, simply addressing the superficial damage, without considering the extent of the flood, can be disastrous over time. 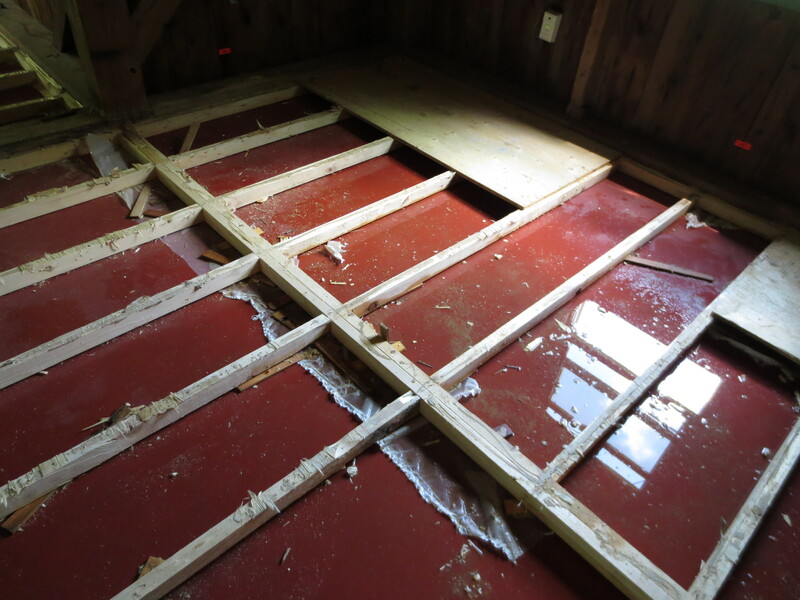 Our flood restoration services include rebuilding bathrooms, replacing vinyl and tile floors and sub-floors, replacing walls and trim, removing and resetting electrical heaters, removing and replacing toilets, and bringing the scope of our work up to code. 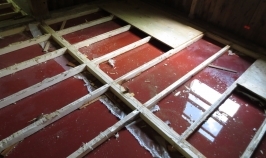 We are committed to finding and eliminating any trapped moisture, and restoring your home or business to its original, pre-water damage condition. 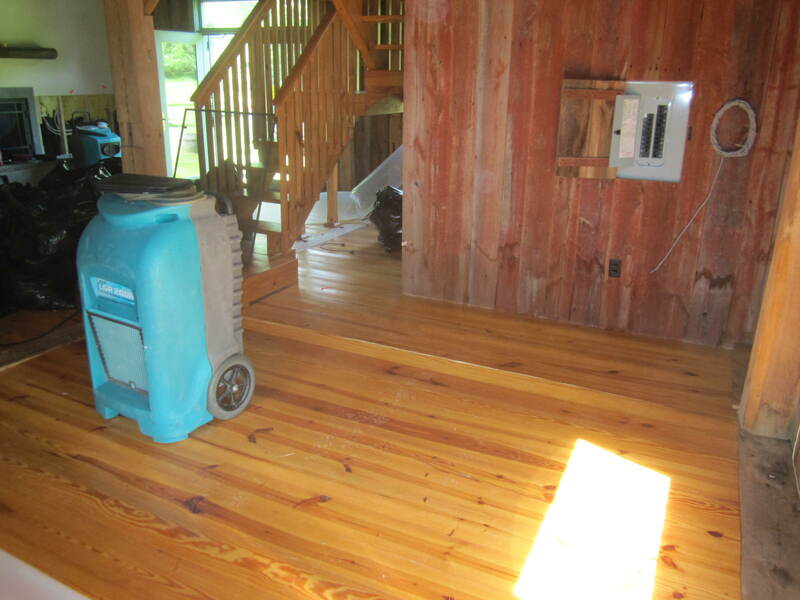 After a leaking toilet filled their cozy guest house, this family thought they had tackled the water damage by cleaning up the floors. 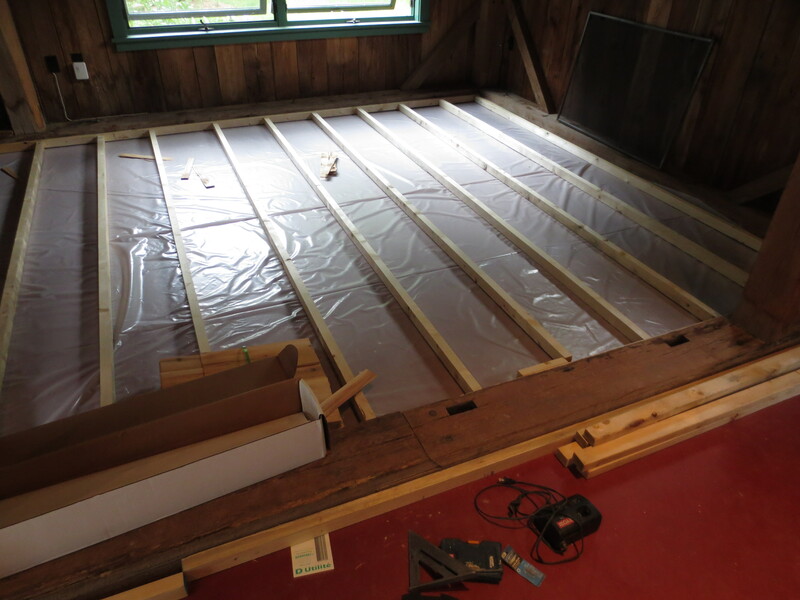 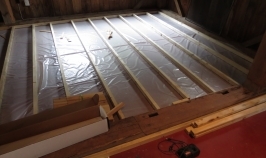 However, when we opened up the floors to replace them, we discovered standing water under the floorboards which had caused damage to the sub-floors as well as the walls.